The church dominates the view from a hill in the center of the village. Equipped with flying buttresses, it is oriented to the southwest and is part of the collection of buildings with the cantor’s and minister’s residence. Regardless of not being mentioned in art history literature, it is still valuable and interesting in its architecture. They began building it in 1752 and according to the account book the building was finished in 1758. It took its present form after several re-building and extensions through the centuries. The expenses of the construction were paid for by the donation of the villagers. In the beginning there was a timber belfry beside the building. We do not have any record of the church from the Middle Ages, because the village is first mentioned in 1512. The defensive fortification surrounding wall typical of earlier churches is also missing. 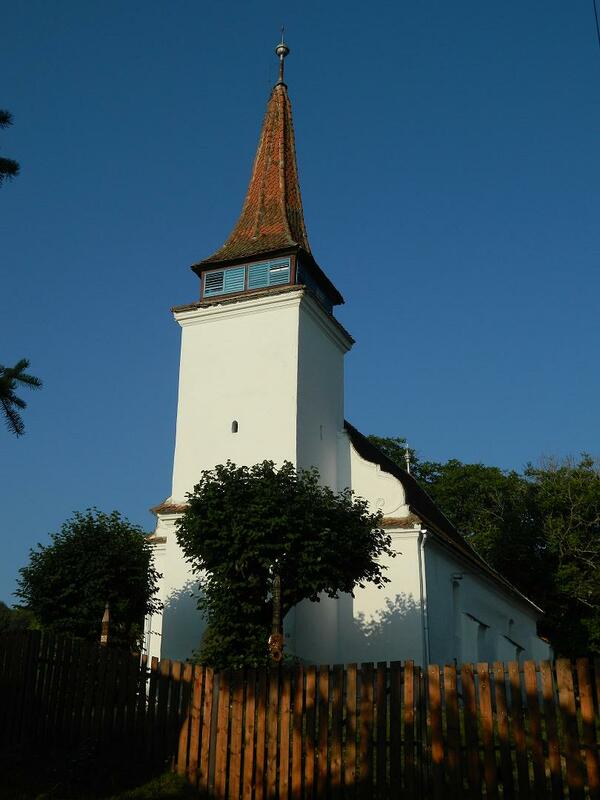 From the 16th century the villagers used to attend worship in the neighboring Szacsva village. It is important to mention that prior to building the church, the congregation became independent at the beginning of the 18th century. The active church life and worships were attended to by ministers of the neighboring villages. This fact is proven by the tin plate donated to Magyaros’ congregation in 1736 by FerencneMarkos, born Anna Koreh. On the perimeter of the plate that still exists today it writes the following: GIVEN TO THE CONGREGATION OF MAGYAROS FOR THE GLORY OF GOD 1736 FERENCNE MARKOS. In 1768 MihalyKese gave a tin wine jug to the congregation. In 1771 the congregation received its own minister. Unfortunately we don’t know his name, but during the visit of the congregation the minister and schoolmaster was ordered not to get involved in any politics. A the same time an order was given to fix the cracks in the wall of the church. The next year the walls were fixed and three years later shingles were changed on the roof. Unfortunately the renewed church could not be enjoyed by the congregation because a fire damaged the church and neighboring buildings in 1794. The damage was not severe, because the buildings were renewed in the same year. During the renovation there was a tower added to the building with an open porch under its roof, which is rare in the region. The church was consecrated as well. In the following few years the church was furnished: the lead framed window, the painted balconies and benches, the table and the pulpit were made and still exist today. The most beautiful relics of the church were made from the generous donations of the congregation, specifically: the hexagonal led framed glass furnace windows, on the edges of which the names of the donators are engraved. The balcony window was made by KOVATS TEREZIA RITA. The window on the east side of the church was made by JANTSO JANOSNE 1797, on the north side of the church one of the windows were donated by KORE ANDRAS 1797 the other was donated by MAGYAROSI ISTVAN. There are painted inserts on both balconies that are somewhat similar to the ones in the church of Szacsva. As indicated by one of the painted inlays the date 1797 refers to the date the painting was completed. Unfortunately we do not know the name of the painter, but we suppose that it is the work of the “Painting School of Háromszék” that worked in the region since 1760. The front inlays of the benches were also painted, but they are much simpler and were made later. The painted inlays of the benches and balconies were covered with oil paint in 1954-55. With the renovation in 2013 the values of the interior of the church were revealed. Because of the floral patterned ornaments on the pulpit made of bricks is rare in the region. It is likely that the pulpit was made at the end of the 18th century since the crown above it was made in 1806. The writing on the crown beholds the name of the donator: EVER LASTING MEMORY MR. BENEDEK MOGYOROSI Anno 1806. The bench beside the pulpit, the Moses bench, according to the church visiting records was made after 1817 for the minister’s wife and for the village Master’s wife. Across the pulpit, on the inlay of the bench there is the coat of arms of the local noble family of Jancsó, who was the patron of most of the ecclesia. The hexagonal Lord’s Table was made of pine after the 1794 fire, with the name of its maker AndrasKoreh. The line of restorations were closed by 1885 for half a century, when in 1954-55 there was a conservation work done, but not very effectively. TiborBeke priests note is as follows: “As I saw two persons working in the church, covering the parts of the church that are dirty and faulty, it flashed through my mind that they are covering our past.” It was during this renovation that the painted inserts of the benches and balconies as well as the floral ornaments of the pulpit were covered over. 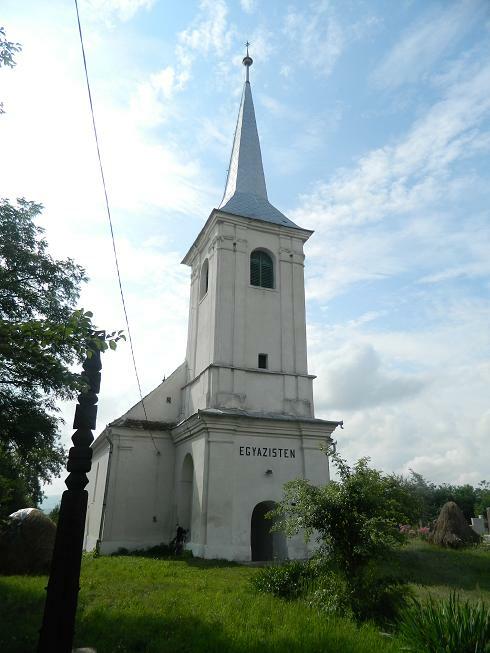 Because the restoration of the church could not be financed by the congregation of 100 people, the congregation applied for a financial grant to the Kovaszna County Coucil in 2013. Due to the successful application there was a larger restoration project conducted. 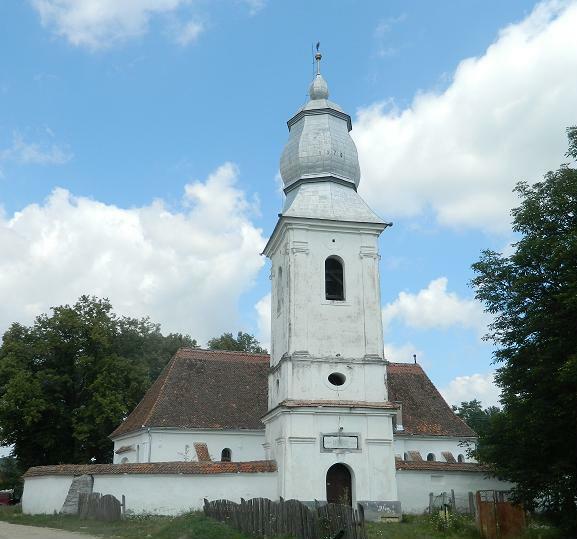 Due to the restoration and conservation work of Ferenc Santa the 255 year old church can be seen in its original form. Population: Mater: 550, Sporadic: 265, Total: 725. Masses in the mater: 10 am on Sundays and Holidays; 7 am on weekdays. Filia: 1 pm on Sundays and Holidays. 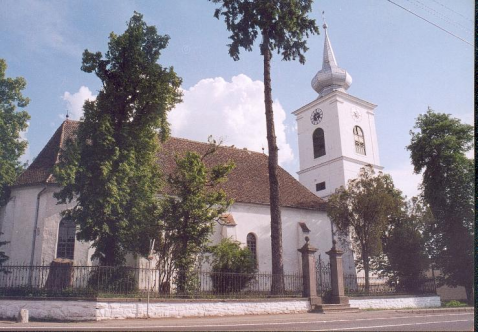 The village is mentioned as Uzum in the papal records of 1332, when father Stephen (István) pays 7 old and 2 small banális. In 1333 Uzon pays 1 garas, in 1334 he pays one verőcze and 4 sasos (Beke 108). At this time Uzon has a church, and is considered a parish. 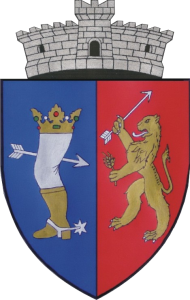 In 1464 the father’s name is Peter (Péter). The church was surrounded by a tall fortress. In 1704 the church and the whole village burns down (SZOKL VII, 127-8). The churches tower had to be demolished after the 1802 earthquake. The church was demolished in 1819, and the fortress in 1901 (Aluta VIII., IX, 461). During the Reformation the catholic parish ceases to exist. The church is reformed for a while, then Unitarian and eventually becomes reformed. There is a chapel for the Catholics from the 18th century also attended by villagers from the neighboring Szentiván (Schematism 1882, 43). 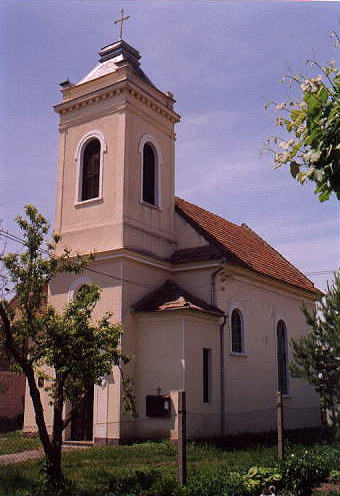 A church is built during 1918-22, that is attended by the parish of Szentiván. It becomes an individual parish in 1943. Father László Nagy builds a parish residence during 1967-69. A house is transformed to a chapel in Keresztvár, in 1988. Population: mater: 485, filia: 117, total: 575. Mass in the mater: 11 am on Sundays and Holidays, 5 pm on weekdays. On Sundays and Holidays: Réty-Komolló 4 pm, Maksa 3 pm, Bita 3pm, three times a year in Angyalos and Besenyő. The Church was built in 1990. Its patron is: St. Basil the Great. Pastor: Vasile Nedelcu.